RENTAL PRICE IS FOR DRAPE ONLY. PIPES MUST BE RENTED SEPARATELY. 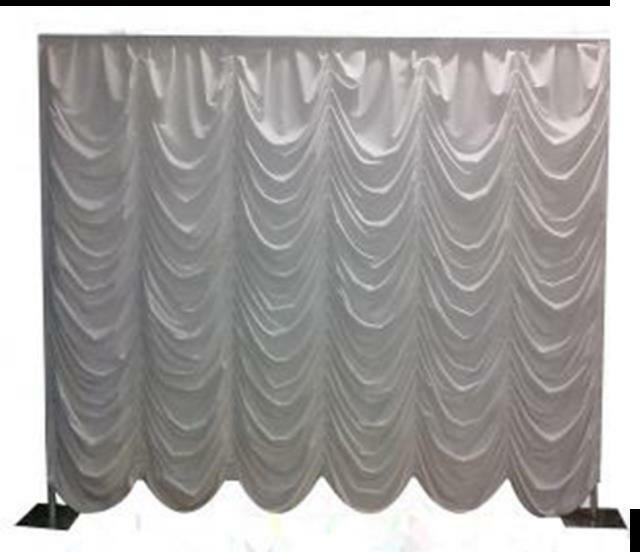 * Please call us for any questions on our drape austrian rentals in Baton Rouge Louisiana.